The consultation closes on 25 May 2017 11.45 AM. Every response counts. Heathrow Expansion – NPS Consultation. The Airspace Modernisation will revolutionise airspace and the way commercial aircraft use that airspace by using GPS technology as per the 2014 flight trials. One of the main drivers for this modernisation is to allow more aircraft to fly in the South East, specifically allowing Heathrow Expansion to go ahead. In fact the head of NATS (National Air Traffic Services) CEO Martin Rolfe stated that Airspace Modernisation in itself would not be required if it weren’t for Heathrow Expansion. Heathrow expansion will, by creating a 3rd runway and by utilising the concentrated flight paths GPS technology that Airspace Modernisation Consultation is seeking, – the DfT and CAA want to impose concentrated flight paths (instead of dispersed flight paths, as now; dispersed flight paths are entirely feasible to use instead) from takeoff to 4000 feet as defined in the Airspace Modernisation Consultation documents – enable a further 260,000 flight movements a year (a 54% increase). Given aircraft heights over Englefield Green, on departures from Heathrow, are as low as 1450 feetabove sea level (Englefield Green is approx. 300 feet above sea level), Englefield Green will be subjected to the same concentrated flight paths of the 2014 trial flights plus a 54% increase in the numbers, not just for the 3 month period of the 2014 trials, but for 52 weeks of the year for all time!! You may have heard this week, that the Institute of Directors has stated that the next Government should build 2 additional runways in the South East to accommodate more aircraft activity; Heathrow’s 4th Runway, Gatwick’s 2nd Runway? Where will it end? iii. Complete the orange response card distributed through Englefield Green post boxes. Remember you may contact us at any time if you need assistance with completing your submission. 1.1 The Scheme’s long-term economic benefits have been hopelessly over-estimated. . The Airports Commission, under the guidance of Howard Davies, claimed that the New Runway Scheme at Heathrow would cost a total of £22.6 billion, including £5bn for “surface access” (M25, M4, upgrades for rail etc.). Yet TfL believe that the surface access cost alone will be £15bn and that the government has therefore under-estimated by a whopping £10bn. 1.2 The Airports Commission has made the calculation of benefits to be applied over a standard transport appraisal timeframe of 60 years from the scheme opening. The Airports Commission final report stated that the gross benefit of HR expanded would be £147bn. The DfT subsequently did the figures again and came up with £69.1bn, but that was gross, and carbon-traded, not carbon-capped. Deduct the £22.6bn costs, together with the clean-up and environmental costs, and the Airports Commission state that the benefits come down to £11.8bn carbon-traded and just £1.4bn carbon-capped over 60 years. 1.4 The costs are important because Heathrow cannot afford to finance this scheme itself. By a complicated form of ownership, Heathrow’s assets are owned through a web of companies up to a company called FGP Topco. The accounts filed at Companies House show that Heathrow has total assets of £5.5bn. FGP Topco has substantial borrowings including borrowing from a connected offshore company called Heathrow Funding Limited. The net assets are just £0.9bn. The shareholders are unlikely to put money into the scheme as they have been taking huge dividends out in recent years. There are insufficient assets upon which to raise money by further borrowing. Therefore, who is going to pay for this £22.6bn gold-plated upgrade? The answer is WE are – the taxpaying public! 2.1 It is clear from research studies that “aircraft noise exposure at schools is associated with children having poorer reading and memory skills” (Dr. Charlotte Clark, Queen Mary University of London 2015). The Lancet study found that each five-decibel increase in noise level was linked to children being up to two months behind in their reading age. A US expert said the study supported previous research findings. 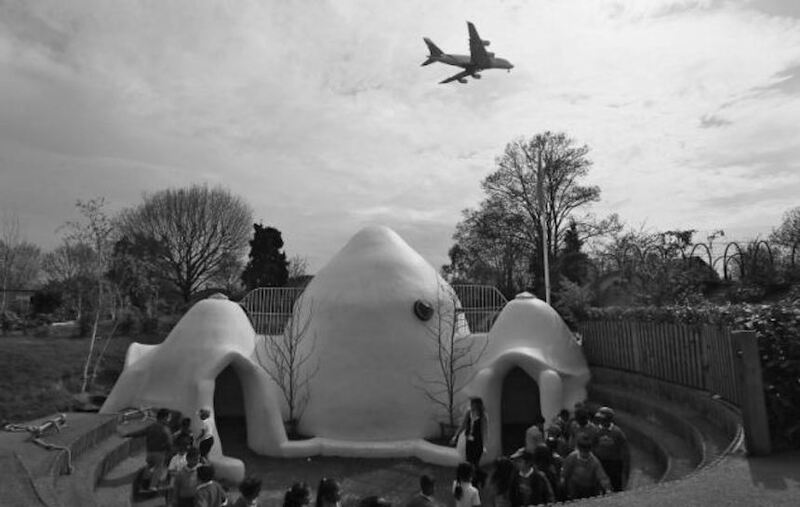 At present 466 schools around Heathrow are exposed to aircraft noise levels that may impair learning and memory. 90% of schools in Hounslow borough are directly affected by noise. The children at Hounslow Heath Infants school are overflown every 90s by planes at 180 metres above their heads. 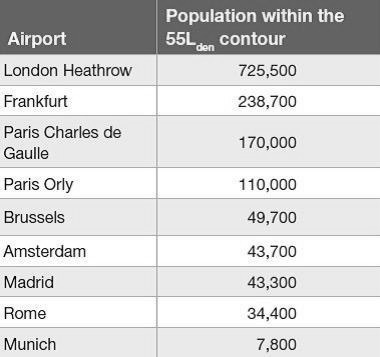 2.3 This will only get worse if Heathrow is allowed to expand. The Mayor of London pointed out that an additional 200,000 Londoners, including 43,200 children, are being exposed to unacceptable noise levels every day. This will lead to health problems related to stress and sleep disturbance. 2.4 Some schools will simply be unable to teach effectively if they should end up under one of the proposed sky motorways. Unless placed in a bunker. This is what has been proposed by Heathrow, who set aside £1.8 million in 2013 to build them. By the end of 2016, just 7 were in place. That’s how much they care about our children. Outside physical education and Sports Days may have to be a thing of the past due to the inevitable increase in levels of air pollution and noise from aircraft and road traffic that Heathrow’s expansion will bring. No one can hear the Umpire on the cricket fields in Bushy Park. The noise of two or three simultaneous rugby matches are drowned out by constant aircraft noise above Windsor. Whilst, all around the expanded airport, roads will be gridlocked, producing pollution that will have a devastating effect on our children’s health. 2.5 Don’t be fooled by Heathrow and the DFT stating that we will all have electric cars by the time the runway is built, or that everyone will be using public transport, which – believe it or not – is touted as the reason by which emissions targets for the areas around Heathrow will finally be met. Heathrow made £114 million from car parking alone in 2016. That certainly puts the £1.8 million for school bunkers in perspective! They plan to invest £200 million in additional car parking if they get permission to expand. Other than claiming to the contrary now, to help get the go ahead for expansion, it’s simply not in Heathrow’s narrow economic interest to see an increase in public transport. Draw your own conclusions on how serious they are about reducing Noise, NOx and CO2 pollution around the airport. 3.1 Heathrow’s noise impact dwarfs that of all European airports. It is estimated that 725,500 people are exposed to noise from Heathrow. In practice this is almost certainly a gross underestimation as the Airports Commission actually excluded many areas including Englefield Green from its Study Area (due to its flawed approach in measuring noise). The next noisiest airport, Frankfurt, exposes only around one third of this number. 3.2 Heathrow expansion will worsen air pollution enormously. The UK is currently in legal breach of air quality standards. It was required by a UK Supreme Court Judgment to show, by the end of 2015, how it will achieve compliance as soon as possible. After further delay and legal challenge it was due to submit an action plan earlier this week but has applied for a further deferral, presumably because of political impact. 3.3 The two air pollutants in the UK pose which the greatest threat – nitrogen dioxide (NO2), and particulates (PM10 and PM2.5) – are concentrated around Heathrow. These are generated by both road traffic and aircraft. These pollutants cause asthma and penetrate lungs, causing cardiovascular problems. 3.4 Air transport is a massive contributor to climate change through generation of direct and indirect CO2 emissions. The implications of this have been fully exposed recently by the Parliamentary Environmental Audit Committee. In order to comply with international climate change obligations if Heathrow is expanded this will mean economic growth in other sectors of the economy will be severely curtailed – including the ability of regional airports to grow. This will lead to insoluble problems on the road and rail network. How is it proposed to move huge quantities of people and freight around the country when the motorway network connecting Heathrow is already at breaking point? It will not be feasible for most of the country to access Heathrow by rail. Why should investment and toxic pollution be concentrated in London and the South East? Our area is already very heavily polluted. It does not make economic sense in terms of balancing the UK economy; it is not sustainable in transport terms and is totally unacceptable in terms of its local and regional environmental impacts. It’s sometimes difficult to understand the impacts on our health of the invisible substances, which are constantly being emitted from planes in the sky. 4.1 But the NHS has reported higher incidences of asthma in boroughs close to Heathrow airport. And in 2013, a study (by researchers from Imperial College and King’s College, London) of 3.6 million residents in the 12 boroughs nearest Heathrow Airport (including ours) found the risks of stroke, heart and circulatory disease were 10-20% higher in areas with the highest levels of aircraft noise. 4.2 The Department for Transport has published as part of the consultation on the third runway a Health Impact Assessment. The purpose of the HIA is to “assist decision-makers in judging the impact of airport expansion and its broader legacy to the population’s health”. 4.2.3 Socio-economic – beneficial impacts on local employment opportunities; and potentially adverse impacts on dwellings or established businesses. 4.2.4 Other impacts – these include community severance, reduced access to recreation facilities, green-space, flood risk and potential loss of tranquility. 4.3 The Health Impact Assessment sought to assess these impacts for all three of the schemes shortlisted by the Airport Commission: a second runway at Gatwick; an extended Heathrow Northern Runway; and a third Heathrow runway. So what did it conclude? All three options are likely to further increase inequalities between a number of vulnerable groups and the general population. A second Gatwick runway “is considered to have the fewest negative impacts upon vulnerable groups”. “It is likely that a large number of those most affected by the expansion schemes are unlikely to benefit from the opportunities provided”. 4.4 The DfT acknowledges that there are serious health impacts associated with airport expansion. 4.5 Its own assessment found that a second Gatwick runway would have less impact on health than a third runway at Heathrow. 4.6 It admits that the population whose health will be most affected by expansion will not experience any of the benefits. 5.1 It remains a startling fact that just under 3 out of every 10 people adversely impacted by aircraft noise, over the entirety of the European Union; live under Heathrow’s flight paths. 5.2 Our main focus is to oppose the third runway at Heathrow proposed in the NPS because it will increase air traffic into and out of the airport by over 50%. Whichever way you look at it, this will mean a huge increase in noise and atmospheric pollution for us all. However, you need to be aware that the DfT is also running a simultaneous consultation on airspace modernisation. This is inextricably linked with Heathrow expansion, as it is the means by which all the extra traffic can be put into extremely overcrowded air space. 5.3 A key aspect of modernisation is the introduction of Performance Based Navigation (PBN) – satnav technology. This enables more planes to be flown by letting them fly much closer together on very narrow flight paths. After the 2014 Performance Based Navigation (PBN) Flight Trials over Englefield Green, we know exactly what this means – concentrated routes, lower flying (saving engine wear and fuel) and intolerable noise conditions on the ground. This generated so much protest that the 2014 trials had to be abandoned early. 5.4 There is no agreement between the DfT, the CAA, and NATS about flight paths or how Performance Based Navigation (PBN) is to be implemented. The current government policy is to reduce the number of people significantly affected by aviation noise but there is no consensus on how this should be assessed nor the new technologies applied. This is the reason why flight paths for an expanded Heathrow have not been shown. 5.5 What is certain is that areas near the airport such as Englefiled Green could be hit very hard indeed – their character changed forever. Even the head of the CAA has referred to new concentrated routes as ‘noise sewers’. 5.6 The aviation industry is aware of the enormous level of opposition new technologies and expansion will generate and wants the government to show ‘strong leadership’ – this means overriding the objections of local MPs and the interests of communities near airports. That means us! This is fundamentally undemocratic – a divide and rule approach – sacrificing communities to line the pockets of overseas investors. Englefield Green could well be one of the communities sacrificed. You should oppose this. 5.7 What should be done about the parallel airspace management consultation now? This is a very technical subject. The key priority for today is to object to the third runway – once it’s built it can’t be undone. If you want to find out more about airspace issues you can see the TAG response to the Transport Select Committee and other information on our website. If there is enough interest, we will arrange a specific workshop in mid-May to discuss this matter further. In the meantime, please object to a third runway using the pre-paid postcards, the DfT’s consultation forms or by letter! But failed to point out that this figure was gross, and that by the time you’ve factored in the costs of construction, and mitigation, you’re only left with a maximum of £6bn over 60 years. But failed to mention the Airports Commission’s belief that these would be low-pay jobs, possibly to be filled by an immigrant population yet to arrive, and that up to 10,000 new homes would be required in neighbouring boroughs to house them. But failed to mention that of over half of the expected new long-haul destinations, would be pre-existing routes currently flying from other UK airports. But failed to point out that no other major airport has flight paths over a capital city, and is so surrounded by dense residential populations that it needs to spend so much mitigating the problems that flow from this geography. But failed to mention that there were only half a million flights back then, that the frequency of overfly has since doubled, and that it will be tripled to three times that with expansion, and that some of the supposedly quieter generation of planes are actually noisier, because they depart at much lower altitudes than back then. But failed to mention that respite would be halved for most of the currently overflown areas, with some communities being overflown for 75% of the time after expansion. But fail to mention that this only covers scheduled flights, so delayed flights will still be able to fly. And those current arrangements – which apply now – are for exactly the same type of moratorium, but from 11pm until 6am – for 7 hours. In other words they fail to point out that, that’s it’s not so much a night flight ban that they’re offering, but a promise to be more disruptive than ever before. Further, some areas that may be overflown from a bigger Heathrow were not included in the leaflet consultation exercise, including Bracknell, Ascot, Sunningdale, Windlesham, Lightwater, Clapham, Lambeth, Pimlico, Marylebone, Westminster, Streatham, Mayfair and Kennington. Greg Hands, the Chelsea and Fulham Conservative MP had to wrestle with the DfT to hold an additional consultation date in his constituency. This is just further evidence that the DfT hasn’t thought about which areas Heathrow will impact. 6.10 The only maps they did show were noise contour maps, based on the “average noise” model of measuring noise, which computes periods of silence into the average. These maps showed Englefield Green for the first time being affected by noise, but only using a new lower noise contour never used before of 54db – Fig 1 – the cynical rationale for this new noise contour is to ‘warm’ us up for what will come with the 3rd runway see Fig 2. This method has been condemned as unreliable by parliament’s Environmental Audit committee, and has even been questioned by Heathrow! And is so inaccurate that areas well known to be impacted didn’t appear on the maps. These maps are so inaccurate that Englefield Green has never appeared on the concluding 57dB contour outside of which is deemed to be unaffected by aircraft noise. In short, the government’s National Policy Statement consultation is utterly lopsided in favour of Heathrow. A sales pitch, rather than a serious and informative consultation. So our recommendation to you is to respond to the NPS consultation, and put your side, the other side, of the argument. And remember. Heathrow expansion is not a done deal, as they would like you to believe so that you give up hope. As we reiterated in the meeting, now is the time to put forward your feelings and concerns and respond to the NPS Airport Expansion Consultation.